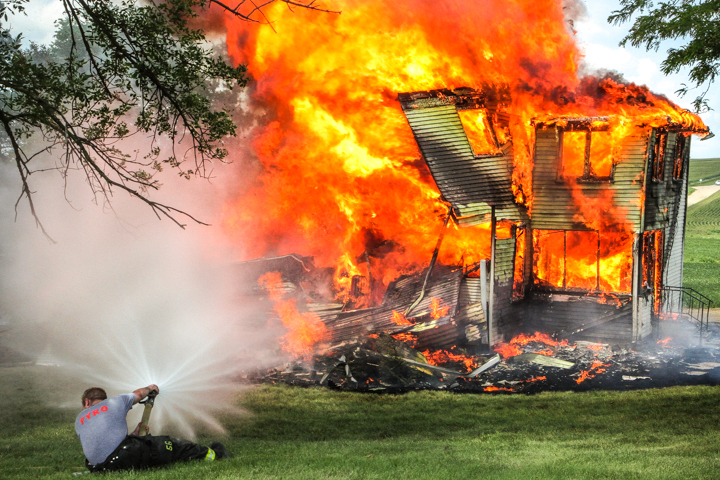 Fire fighter Heath Reyzlik sprays a curtain of water on the perimeter of the fire. After months of training, fire fighters from Arlington. Blair and Kennard were ready for the real thing. 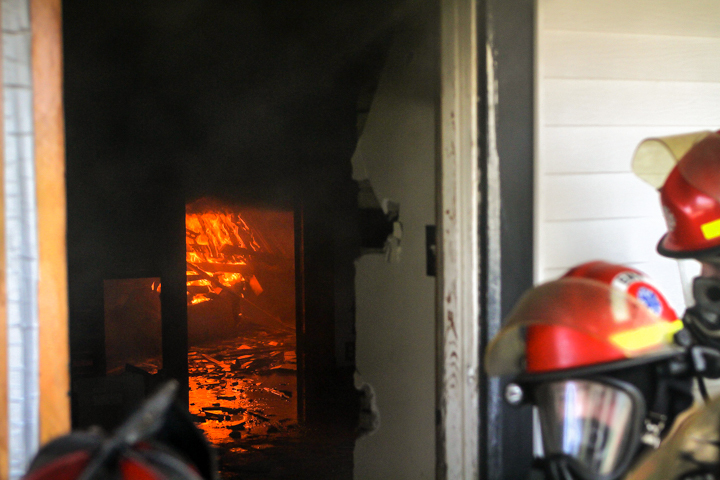 It was a test, of sorts, to see if they could take the heat, literally and figuratively, of attacking and controlling a live fire. The majority of the fife fighters are finishing up a Fire Fighter I certification program taught by Arlington Fire Chief Tom Christensen. 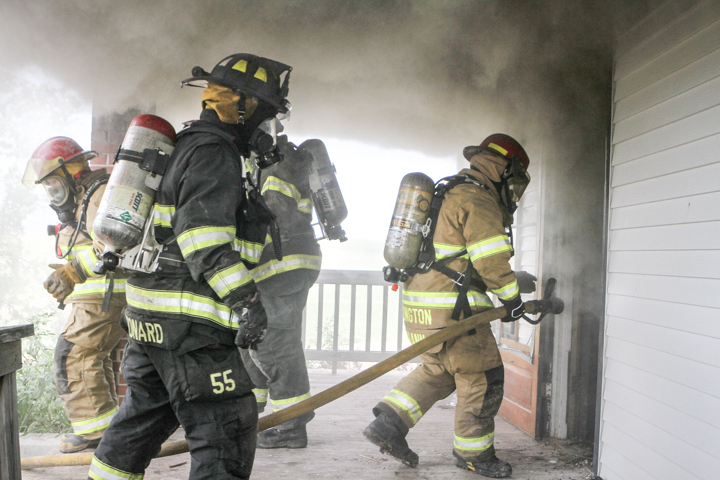 “Were just getting people comfortable in what to do in a fire situation,” Christensen told Enterprise Publishing Online editor Leeanna Elllis. “Were kind of testing them to see if they’re comfortable with it. 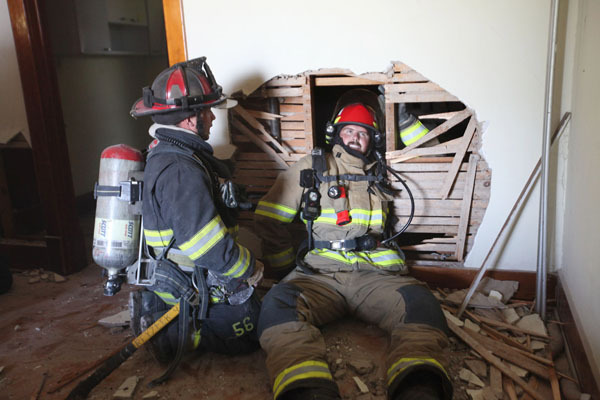 We’d rather do that in training then in real life.” Christensen also serves as a Fremont firefighter and works for the Nebraska State Fire Marshal’s Office. Throughout the morning, Blair fire fighter Heath Reyzlik first demonstrated and then coached the fire fighters on fire fighting techniques and survival methods Reyzlik is an Omaha fire fighter and worked with Christensen in Fremont. 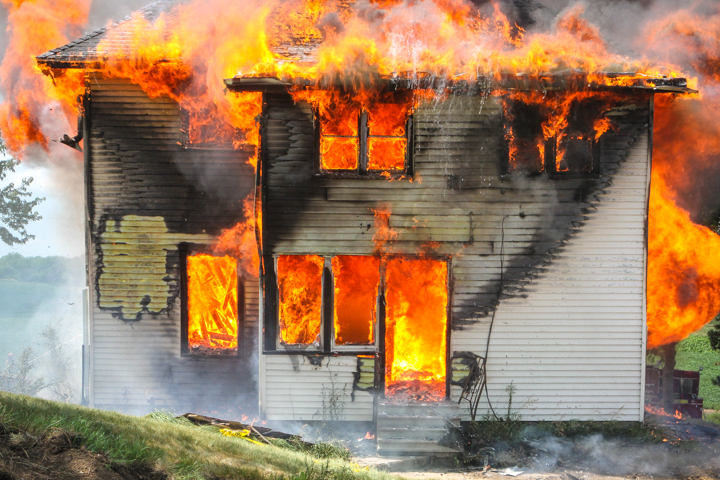 Christensen and Reyzlik started a series of small fires in second floor rooms and led teams of fire fighters manning hoses through the house to practice various strategies and spray patterns to extinguish the flames. 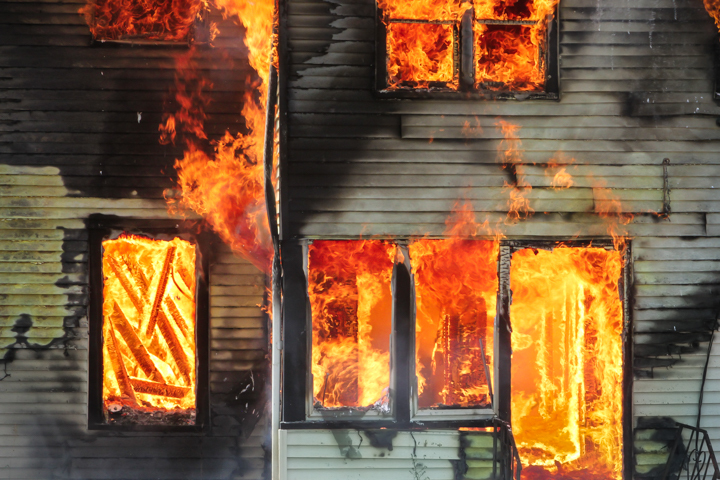 After lighting a larger fire on the first floor, the firefighters watched and studied the smoke and learned how a fire progresses, and then staged a series of full fledged assaults to knock back the flames and before allowing them to build again. 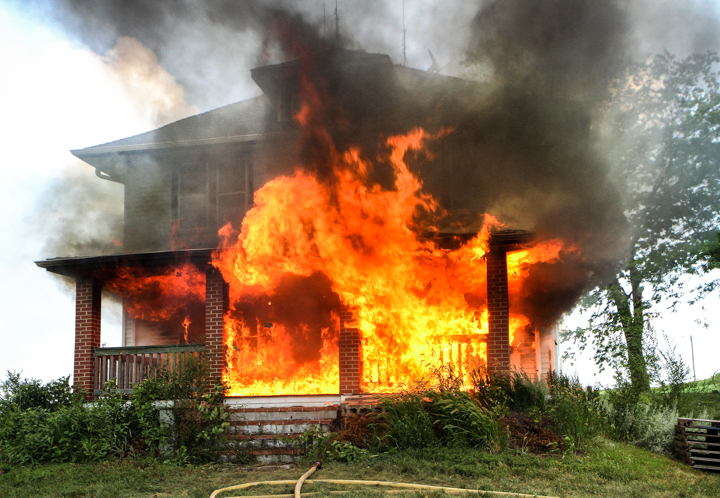 As fire began to engulf the house, Christensen gave the order to cease the training and allow the house to burn. Fire fighters stayed back to watch the fire burn and wet down trees and grass to keep the fire from spreading. Thanks to Leeanna Ellis for providing the interviews and much of the information for this story. 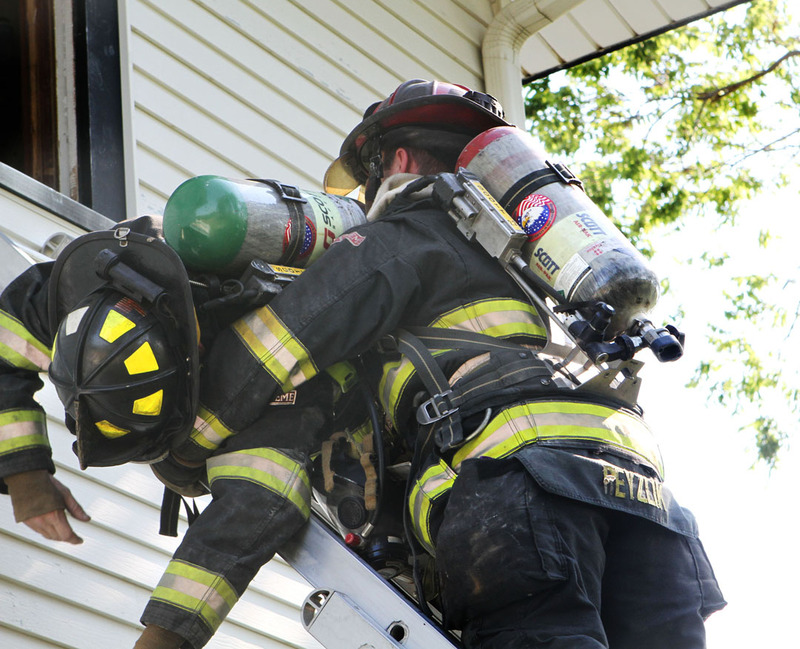 Kennard firefighter Ryan Coufal, left, and Arlington firefighter Nick Kaup break out a window during practice burn. Fire engulfs the back entrance to 100 year old farm house. Fire fighters study the smoke as fire burns in rear of house. Arlington Chief Tom Christensen. 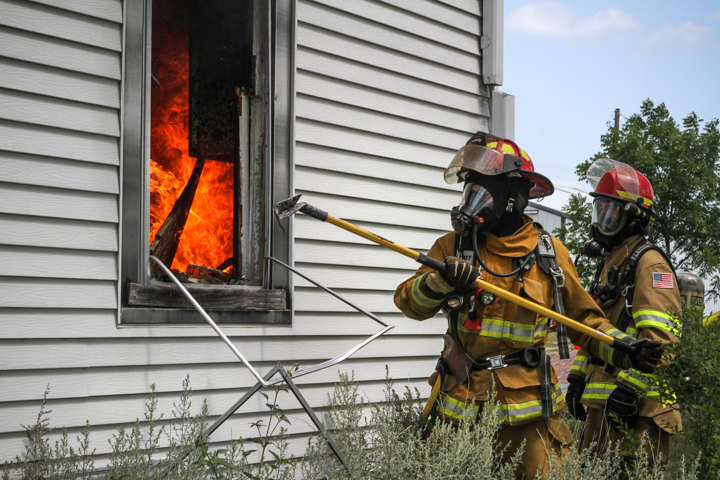 left, instructs other firefighters how to attack a blaze during practice burn. Arlington firefighter Ryan Bosshart practice a “swim” technique to climb through a hole in a wall during survival training prior to the practice burn. 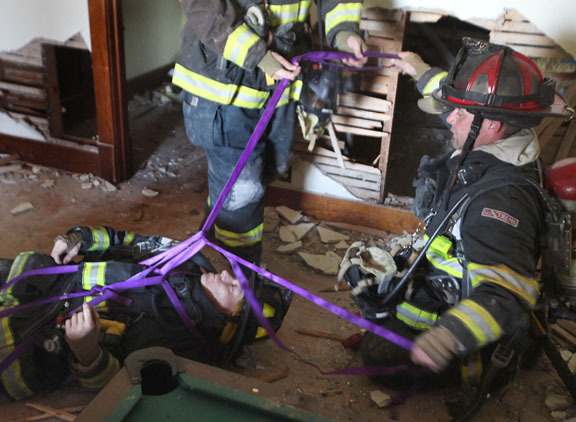 Blair firefighter Joe Leonard portrays a hurt fireman as Blair firefighters Riley Schoenfelde and Heath Reyzlik domonstrate how to use webbing to pull Leonard to safety. Blair firefighter Heath Reyzlik demonstrates a fireman carry with the help of fellow Blair firefighter Joe Leonard prior to the practice burn. Arlington firefighter Matt Johann enters a house with a hose followed by Blair firefighter Joe Leonard. 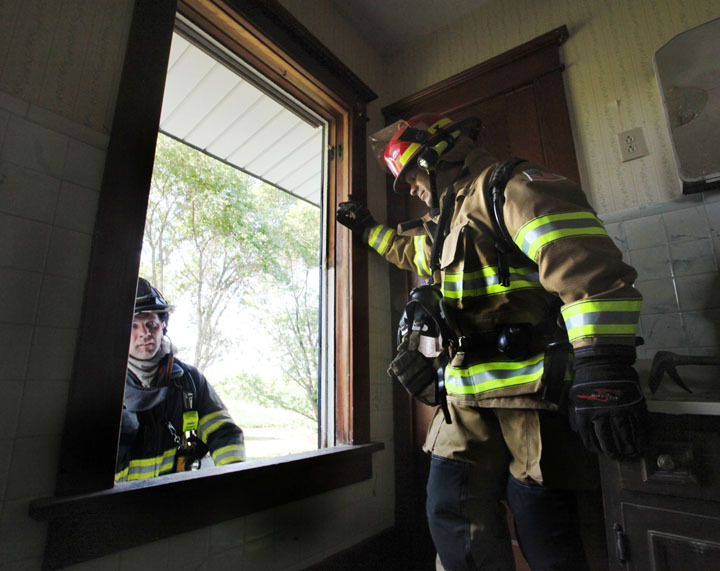 Blair firefighter Heath Reyzlik, left, demonstrates a window exit while Arlington firefigher Matt Johann looks on, Sunday, prior to a practice burn east of Arlington. 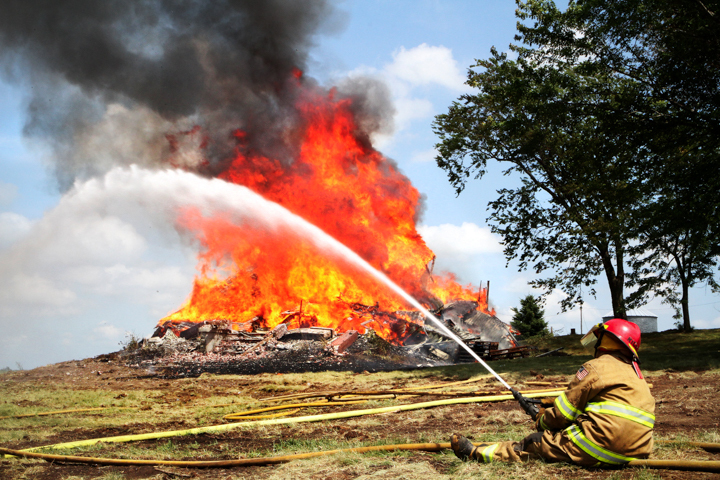 Fire engulfs the rear entrance of the farm house during a practice burn near Arlington. 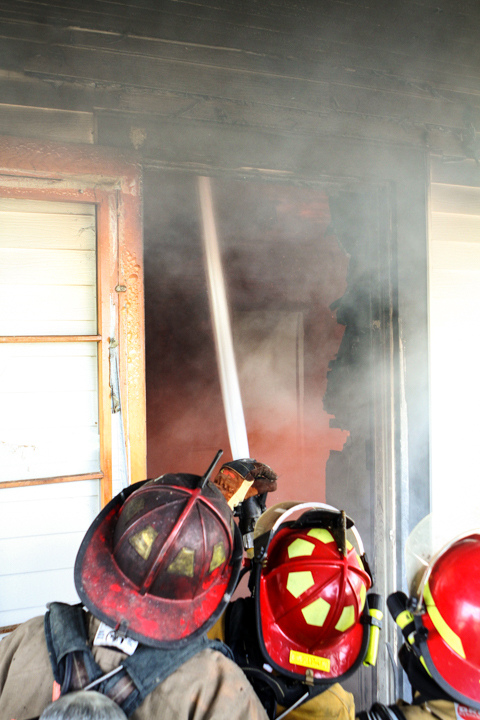 Fire leaps through windows and engulfs the front porch on farmhouse used for practice burn. Arlington firefighter Ashley Cherry sprays water on the grass in front of what used to be a house east of Arlington. Arlington, Blair and Kennard firefighters used the home for training.